The Theory of Reciprocity states that as humans, we naturally want to return a favor. Simply put – when someone does something that benefits us, we feel obligated to do something in return. While the theory is simple to understand – it has powerful implications for real estate agents. As a Realtor, your work is based on relationships with clients, professional contacts & your network of trusted service providers – like mortgage brokers, lawyers, contractors & home service professionals. And if you foster these relationships – you can grow our business exponentially through reciprocity. Think about it. Buying or selling a property is the biggest financial decision most people will ever make. So if you build meaningful relationships with your clients, really help them through the process and offer exceptional service – they’ll want to reciprocate the hard work you’ve done by sending referrals your way. Where reciprocity gets even more powerful though is when it comes to your network of trusted service providers. As a Realtor, your clients are constantly asking you for the name of a mortgage broker, real estate lawyer, contractor, home decorator or moving company. You regularly refer clients to these vendors – and these vendors depend on referrals from real estate agents to grow their business. 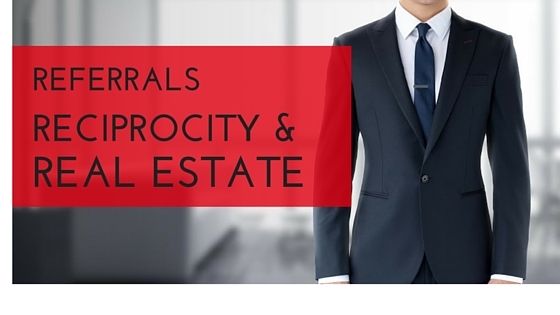 By formalizing your referral process with mortgage brokers, lawyers, home service pros & other professionals – you can therefore drive leads through reciprocity. First, have your list of recommended service providers easily accessible to your clients. With ClientLinkt – you can share your list of via your own custom-branded smartphone app so its always accessible to your clients. Then – contact each of these service providers to let them know you’ve included them in your list of recommendations. Plan follow-up calls with vendors to check-in about clients you’ve referred to them, and thank them when they deliver great service to your clients. They’ll be thankful for the clients you’ve referred to them – and return the favor by sending referrals your way.